Why is a contact record marked as “Former” in the title field? When a contact is moving on from one account to a new business opportunity, our research team will reflect that move by marking the old contact details as “Former” and setting up new contact details under the new account. You will receive your invoice automatically via email within the next 24 hours after your purchase. If you did not receive the email, please check your spam folder and contact us at support@advinda.com. advinda accepts VISA, MasterCard and American Express and you will be billed in Euro. If you do not have a credit card, you can opt to pay by bank transfer, please note though that your package will only become available in your account after the invoice amount was received. How quickly can I use my purchased subscription? If you purchased your subscription by credit card, your package will become available in your account as soon as the credit card authorization was successful. If you opted for bank transfer, your package will be released to your advinda account after your transfer was received. Please note that in case of international transfers this can take up to a week. In case of questions on your transfer, please contact us at sales@advinda.com. How do you calculate the Assets Under Management (AUM)? We go above and beyond the balance sheet to ensure the data you access is as accurate and complete as possible. If you want to know how we calculated the AUM for a specific Account just contact us at support@advinda.com. Why is a contact no longer displayed in my advinda Contact section? We are constantly researching and updating our investor intelligence data. If a contact moved to a new professional opportunity we will update the information to reflect that change. History, tasks and campaign work with this contact will of course remain with the original account. You will find the information under your custom contacts. I was looking for a particular institutional investor but received no result? Wherever possible, we apply an AUM threshold to ensure that our Premium packages contain top-tier investors only. You can tell by the package icon if a threshold is applied, e.g. the AUM threshold on Pension & Insurance Packages is EUR 1 billion. Organizations with less AUM are not included in the package. Your investor meets the AUM but you still cannot find them in the package? Please send us an email to info@advinda.com and we will research the information for you. If the investor meets the necessary criteria, the information will become available to you within the next 48 hours. Why is a contact listed as active in multiple accounts? Occasionally a contact is a decision maker on investments for multiple accounts, e.g. this contact is in charge of investment selections for an external asset manager which takes care of multiple insurance companies. To ensure that we give you the relevant contacts for investments, we may opt to list this contact under all of the accounts and will not exclude the respective insurance companies from the list for the sake of listing the contact only once. We feel that in these specific circumstances the full overview of the institutional investors landscape with all its members and their various responsibilities is more relevant to you . Why are there a few contacts without email or phone number? In rare circumstances some email addresses or phone numbers may not be made available for confidentiality reasons, e.g. for Family Offices or in specific countries such as Korea. We try our utmost to provide you with contact details wherever possible but also have to respect users privacy. Check the provided URL for the home page of the account for alternative contact options. I would like to be removed from the advinda investor intelligence data. Please send an email to privacy@advinda.com if you are listed but would like to be removed. We respect your request and will take care of it short notice. 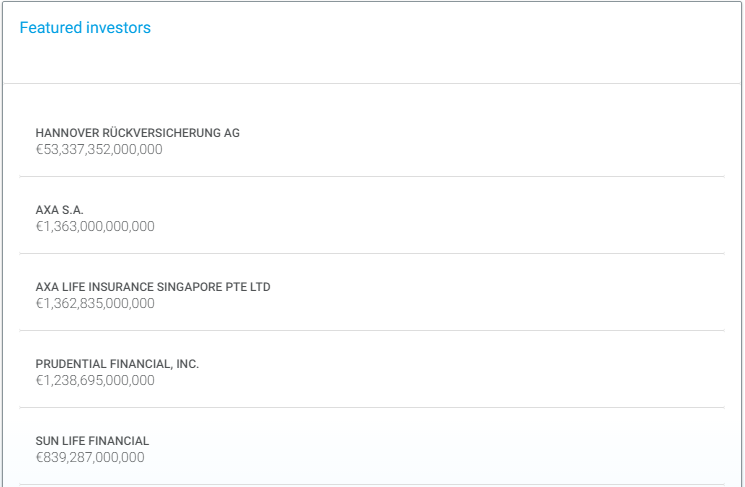 Why is an account no longer displayed in my advinda Accounts section? The industry is ever-changing. As organizations are acquired and merged, our Research Team will accordingly update records and move alle information to the remaining account. You will also receive an update on such changes. We will contact you in advance to remind you that your subscription is about to expire. You then have the option to extend your subscription for another year. advinda Premium offers you ready-made investor intelligence information to boost your campaign progress. From this page you can select investor information packages by type and region for your account just as needed. Each package icon contains information about the number of accounts included and the AUM-Threshold applied. Premium packages that you or your team already subscribed to are lightly greyed-out. An orange icon indicates an Insurance Package. 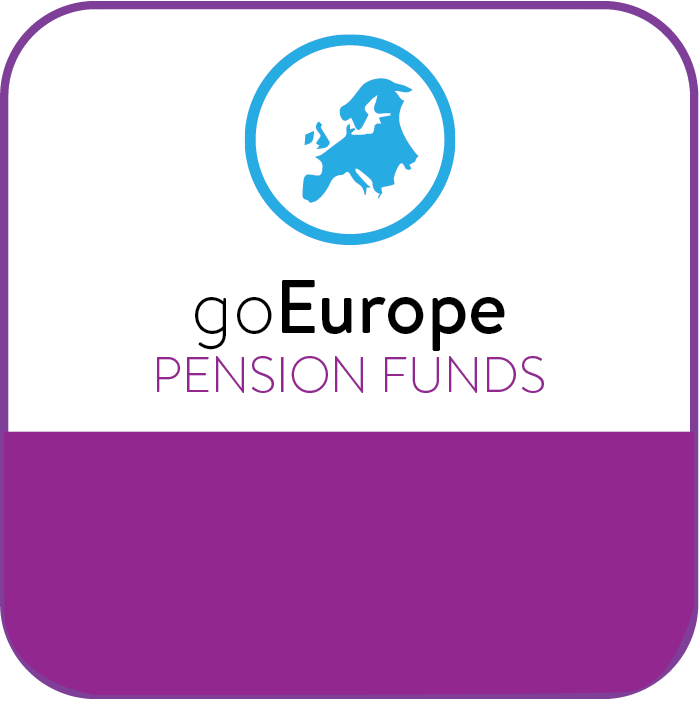 A blue and green icon indicates an Other Institutionals Package. e.g. : If you are looking for investors in Germany, type “Germany” into the search bar. The result will show all packages, containing investors from Germany. Click on one of the icons to see more details. The premium package details page gives you an overview on what is included in a package and information on available licensing options. The Premium package information is all about what is included: the investment professionals, included investor types, countries, total number of accounts and where applicable the AUM threshold used to select the included investors. The second section shows all available licenses and their pricing. We offers 3 different licenses that are valid for 12 months: 3-user, 5-user, 10-user. You can add a license to the shopping cart by clicking the “Cart-Button”. To get more information on how to purchase a package, go to the purchase section of this guide. The section Featured Packages shows the regional sets included in a package. Please note that when you subscribe to a package including multiple regions it is not possible to assign these regions individually to team members, your licenses are always for the full package you subscribed to. 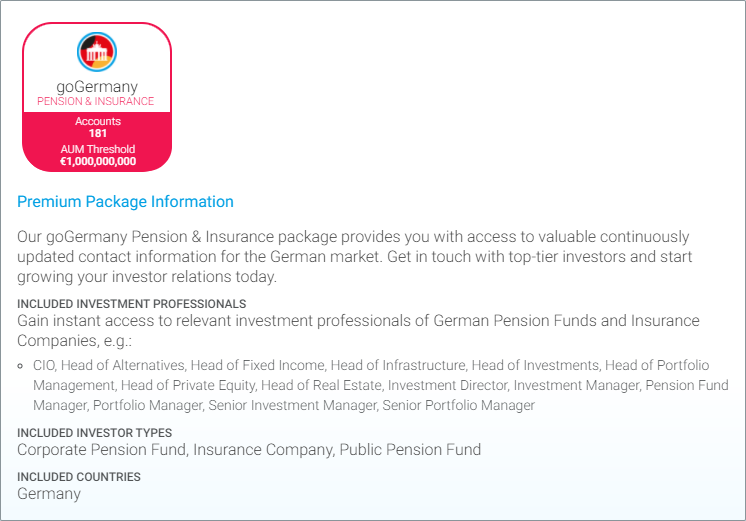 The section Featured Investors shows the top ten investors included in the package. Click “Go To My Subscription” on the advinda Premium page to see all of your subscribed packages. The row “You have access to” shows the package for which you have an active license. The row “Your Company’s Packages” show all the packages for which your company has an active license. Contact you team administrator if you see a package to which you would like to have access but which is not yet listed under the “You have access to” packages. Depending on the number of licenses your company has subscribed to, your team administration may be able to assign a license for that package to you. All licenses are named user licenses, i.e. if you purchase a 3-user subscription you can assign it maximum to three team members in your account. Our subscriptions are valid for 12 months and will not be automatically renewed. We will contact you prior to the end of your subscription to remind you that your license is due for renewal. You can pay for your subscription by VISA, MasterCard, Amex or in case of larger transactions by Bank Transfer. If you opt to pay by bank transfer the purchased package will not be released until the money is received by advinda. Please do not choose this method for urgent purchases. After clicking the “Buy Now-Button” you will receive a notification with the account details. A package subscription paid by credit card will be released to your account immediately after successful authorization of your card, .